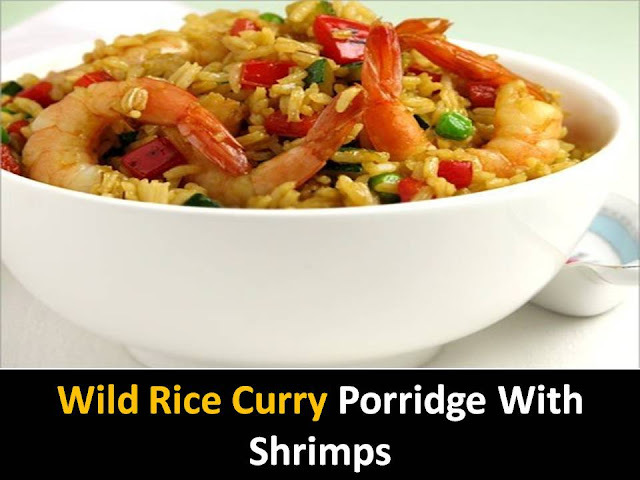 Fried Rice with shrimp and Peppers can be a hot hearty dinner for the family and decorate the festive table. For its preparation need shrimp. As I wanted shrimps, well, I just eat and it wasn’t a hunt. So I came up with a recipe, rice with shrimps is very good. #Step1 - Shrimp peel, scalded with boiling water. Finely chop the onion and the greens. Pepper cut into thin slices. #Step2 - Put onion and shrimps in a hot pan with butter, lightly fry. Add pepper and soy sauce, simmer for 5-7 minutes. #Step3 - Boil rice, add to shrimp and fry a little. When serving, sprinkle with grated egg.